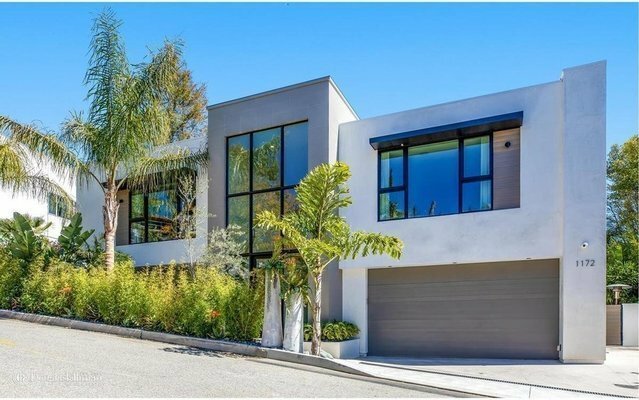 Located in coveted lower Bel Air with breathtaking canyon and city views, this 5-bedroom, 6-bathroom meticulous modern home offers a spacious open floor plan, double-height ceilings, walls of glass, lush landscaped grounds and copious doses of natural light throughout. Designed for the ultimate California indoor-outdoor living, this state-of-the-art smart home is prepared to cater to all lifestyles through the touch of a button. Offered furnished and short term, outdoor furniture will be included with lease.